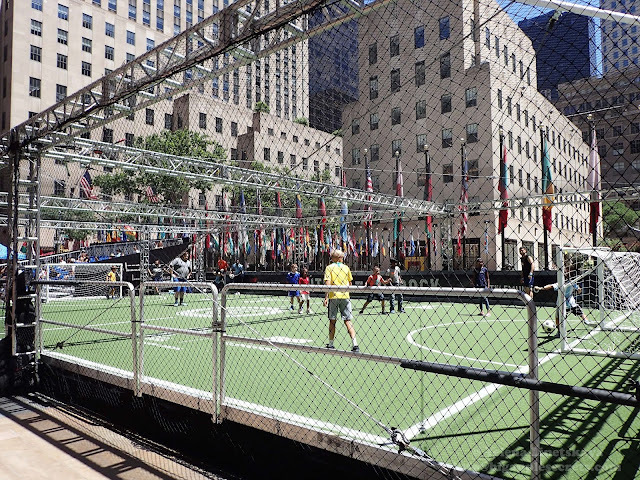 New York: Picture of the Day : A custom-built soccer field for activities by the New York City Football Club on the Plaza at Rockefeller Center. Giant screens are also set up on the plaza for the public to watch all live matches of the 2018 FIFA World Cup. A custom-built soccer field for activities by the New York City Football Club on the Plaza at Rockefeller Center. Giant screens are also set up on the plaza for the public to watch all live matches of the 2018 FIFA World Cup.